The 819,644 international students and their families at universities and colleges across the country supported 313,000 jobs and contributed $24 billion to the U.S. economy during the 2012-2013 academic year, according to new NAFSA findings. This is a 6.2% increase in job support and creation and a nearly 10% increase in dollars contributed to the economy from the previous academic year. California, New York, Massachusetts, Texas, and Pennsylvania saw the largest benefits from spending by these students and their families on living expenses, tuition, and fees. Further analysis shows that 3 U.S. jobs are created or supported for every 7 enrolled international students, by spending in the following sectors: higher education, accommodation, dining, retail, transportation, telecommunications, and health insurance. While the number of internationally mobile students has doubled over the past decade, the U.S. share of international students decreased by 10 percent, according to OECD and Project Atlas. The United States needs proactive government policies and strategies to ensure we remain globally competitive. In addition to the economic benefits international students bring to the United States, they contribute incalculable academic and cultural value to U.S. colleges and universities and to local communities. International students build bridges between the United States and other countries, bring global perspectives into U.S. classrooms and research labs, and support U.S. innovation through science and engineering coursework, making it possible for U.S. colleges and universities to offer these courses to U.S. students. The economic analysis was conducted for NAFSA by Jason Baumgartner, director of information services with Indiana University-Bloomington’s Office of International Services, using enrollment data from the Institute of International Education’s Open Doors 2013 report, which is produced in partnership with the Department of State’s Bureau of Educational and Cultural Affairs, and using tuition and expense data from the Department of Education’s National Center of Educational Statistics Integrated Postsecondary Education Data System. Access NAFSA’s International Student Economic Value Tool to view ten-year trends as well as detailed analysis available by region, state, and congressional district. NAFSA’s new study abroad demographics chart offers further data on participation trends, illustrating that we still have a long way to go on democratizing study abroad. The demographics of U.S. study abroad students are not reflective of overall U.S. higher education enrollment. NAFSA’s new report provides a breakdown of the percentage of college students in each state who studied abroad in 2011-2012, allowing institutions and state leaders to gauge how they compare with national trends. NAFSA’s analysis on study abroad trends is based on data from the Institute of International Education’s Open Doors 2013 report, which is produced in partnership with the Department of State’s Bureau of Educational and Cultural Affairs, and data from the Department of Education’s National Center of Educational Statistics. 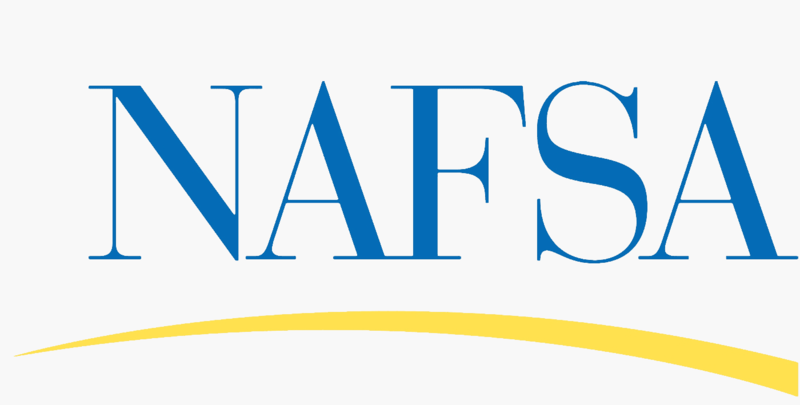 With nearly 10,000 members, NAFSA: Association of International Educators is the world’s largest nonprofit association dedicated to international education. Visit our online press room at www.nafsa.org/press. To learn more about our advocacy efforts on behalf of international education, visit www.ConnectingOurWorld.org and @ConnectOurWorld.